We are Amanda and Justin, a husband-wife team originally from Chicago, IL. We are traveling the world in search of new and innovative brewing techniques. Coffee Panda is a small business and we’re the first to admit we’re still learning. In fact, we aren’t experts. Nor do we pretend to be. However, we are passionate about quality coffee products. Our mission is to learn from coffee experts across the globe in order to bring you products that will change your life. 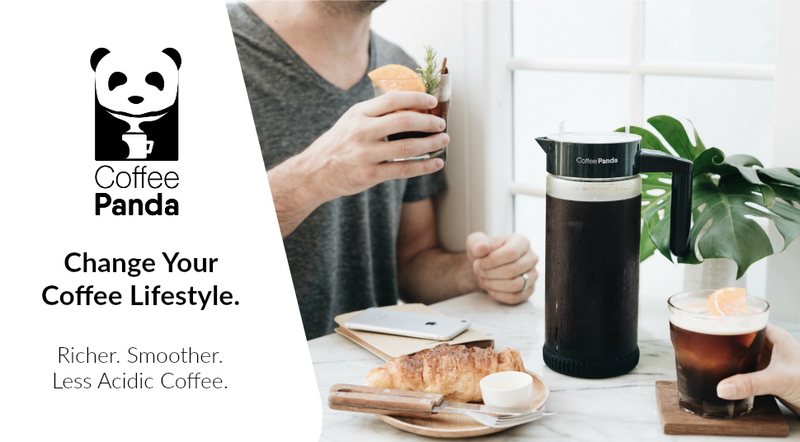 Coffee Panda combines our passion for global brewing trends with modern kitchenware design. We aim to create products both easy to access and even easier to use. 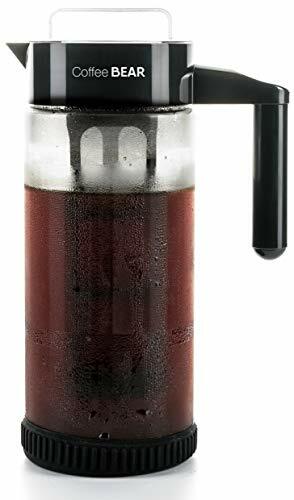 The cold brew process involves steeping coarsely ground coffee in cold water for 12 – 24 hours. It’s a much slower brewing process than traditional hot brewing methods that produces coffee that tastes smoother, richer and less bitter. 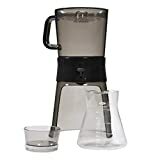 The Cold Brew Coffee Maker’s extra-large, super durable, borosilicate glass carafe has a 1300ml (44oz) capacity. 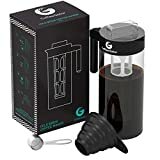 It’s 30% larger than typical 1000ml cold brewers and produces enough coffee concetrate to last you for days while keeping it freshly chilled for weeks at a time in your refrigerator, saving you more time and more money.